In our increasingly globalized world, taking a study tour to another country provides your child with a unique opportunity to develop skills that will benefit them both professionally and personally. Still, if you are a bit nervous about letting your son or daughter participate in a study abroad program, please try to focus on the positive impacts that this experience will bring. Study tours teach students adaptability, cultural awareness, teamwork, and field research skills that are increasingly valuable in the globalized world. Future employers and graduate school admissions officials look very highly on travel abroad experiences because they show that candidates aren’t afraid to seek out new challenges or put themselves in difficult situations. This gives them a competitive edge in an increasingly difficult job market. Students often return home with a new sense of self-confidence in their abilities to navigate in new places, solve problems, meet new people, and adapt to culture shock and life’s challenges. And this is a great mindset to have! One of the most enriching experiences of studying abroad are the cross- cultural connections your child will make with experts from around the world which can greatly expand their global, professional network. Discovering new interests and passions through educational travel helps develop a greater sense of independence, and may even help your child find a new direction to their studies and career plans. Purchase a health insurance plan that covers your child abroad, and that includes evacuation coverage. These can be surprisingly cheap. 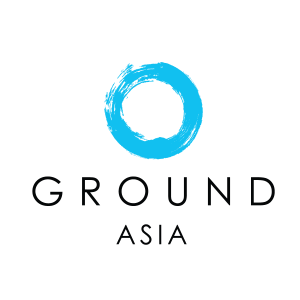 We guarantee your child will have many wonderful memories and rich educational experiences with GROUND Asia.